When a relationship breaks down and the person you thought you would spend the rest of your life with suddenly departs, the pain can be quite excruciating. All the old stories – betrayal, humiliation, anger, blame, self-recrimination and simply being alone in a world full of loneliness – come rushing to the surface, all wrapped in a terrible sadness. Unexpected life changes happen to thousands of people every day, very recently to a friend of mine. So how do you deal with it? How do you recover (if you actually do) – not just from a long-term partner walking out, but from all kinds of equally harrowing traumas? Any major shattering presents huge challenges. How we respond to them will affect the rest of our lives. Some people sink into the morass of self-pity and resentment; others remain in grief for years and some come to understand this is a vital opportunity to look inwardly to themselves, not in a self-critical way but with compassion and tenderness and they see a way forward that is not dependent on anyone else. These challenges focus on long-held self-images, such as "I am not enough," "I cannot trust anyone," "Life is unfair" or "I need to be taken care of." Each of these and other images have arisen from deep childhood wounds, and we use them to keep us going, to cope with the multiple pressures of life. In our adult behavior, we live out the self-image in a defensive way, protecting ourselves from our primary fears by the avoidance of risk, or the inability to connect with people or a dependence on others to save us. There are many variations on this theme and they are all foundations for survival. Some people constantly seek acknowledgement or approval, while others have a powerful need to be in control. In many cases, we use our talents to help make us feel good about ourselves. So when a shattering or trauma occurs and a crippling emotional pain arises, the pain (and shame) presents itself right in the face, although its origin is deep inside the wound. My friend David said: "When my wife decided to leave in not the prettiest of circumstances, I was devastated and heart-broken. My whole world changed in an instant." Although still in deep shock, David began an inward journey, examining his share of responsibility in the collapse of his marriage, realizing how complacency and lethargy had set in – along with anxiety and depression that grew from his early relationship with his mother who had frequently humiliated him and whom he had never been able to please. "I had spent many years of the marriage trying to compensate for my issues by being over-generous and over-attentive, as if I was still trying to get my mother’s approval. I had been expecting my wife to save me. Even just looking at these and other areas of my life was extremely painful, sometimes terrifying. But I couldn’t turn away from them. I allowed myself to feel it all and go through layer after layer into the depths of the original wounds." At the same time, David also focused on all his great qualities and gifts – his creativity, open-heartedness, humor, compassion for others and more. In this way he was able to hold both the negative and the positive in a non-dualistic and non-judgemental container, simply allowing it all to be present. This willingness to surrender to whatever was there enabled him to be with and ride the wave of emotions when the enormity of his sadness and fear threatened to overwhelm. He was able to come back into his center and be in his essence. "This gave me a different perspective on my life," he said. "I received some remarkable insights that included seeing how I had allowed many areas of my life to stagnate and die – the very basic will to live, to have fun and real pleasure." A new enthusiasm emerged from all this, albeit tinged with a sadness that was a little more bearable. Only weeks on, David feels much more alive, confident and optimistic about a future without the woman he loves. The life force that had lain dormant, locked away for years in that deep early pain, began to stir again. It may have been hard for him or anyone to appreciate initially, but there is a great and liberating gift in every trauma or shattering, one that few people are willing to grasp as they lose themselves in their pain. Sometimes we need our lives to be completely shaken before we can even begin to face the challenges that have always been there, but ignored. The key is in knowing how to focus inward into the pain, rather than run from it. This is one of the things we teach at The Barbara Brennan School of Healing. In my own life, I have gone through surprising, sometimes frightening and painful experiences to come out the other end each time with deeper love and more understanding and acceptance of self and others. None of us are victims. We are all on a path of self-actualization, a state in which Grace arises of its own accord from deep inside. Barbara Brennan, Ph.D., is a world-renowned spiritual leader, healer, educator and the best-selling author of Hands of Light, Light Emerging, and the inspirational Seeds of the Spirit series of poetic channelings. 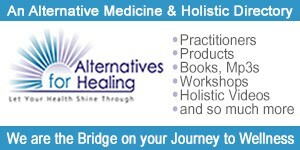 She is the founder of the Barbara Brennan School of Healing and the Barbara Brennan School of Healing Europe, global healing institutes where students from around the world study her unique modality of healing through the human energy field. Dr. Brennan's newest school, Barbara Brennan School of Healing Japan, opens in September 2007. For more information, please visit www.barbarabrennan.com. Copyright © 2007 Barbara Brennan, Inc. All Rights Reserved.